This entry was posted in Uncategorized and tagged #inglasgow, About a city - Glasgow, We love Glasgow, what to do in Glasgow. Bookmark the permalink. Thanks Annette! We’ve loved every minute. We’ll keep our old blogs up – and hopefully people dip into it when they need a wee bit of Glasgow inspiration. Ah, the end of an era – thanks for all the great Glasgow insights… the city will miss its favourite blog! Ah thanks – it’s been wonderful. Oh no! For some time now you’ve provided a visual link between me in Bristol and my daughter in Glasgow. It’s a city I’ve known all my life, but which you’ve helped me to see in a bright new light. Thanks for that and orra best for the future! I will miss the blog,they remind me of what I am missing in the dear green place.Thanks for the memories. Thanks for all the recommendations & looking forward to finding out more about your future adventures. We moved to Glasgow in 2014 and, ever since, we’ve read your blog with such great attention and interest. 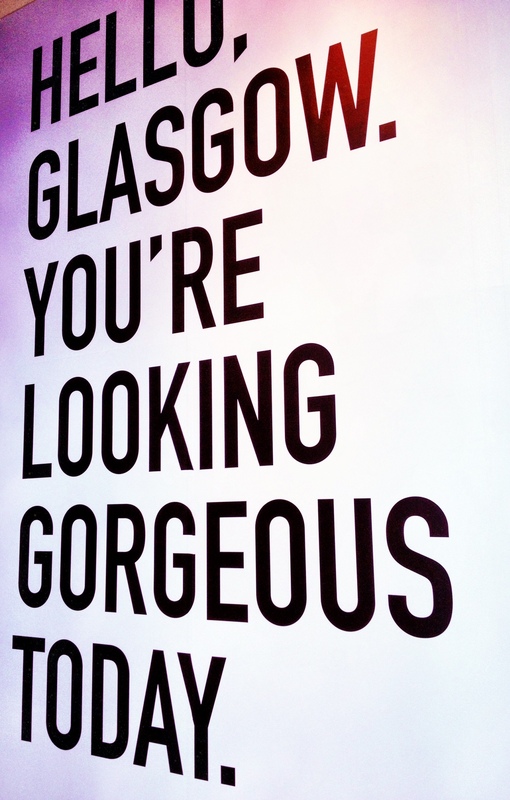 Thanks for all the suggestions – we’ll miss the blog but we learnt to love Glasgow through you two!